God is light and in Him is no darkness at all (1 Jn.1:5). The Lord Jesus said, I am the light of the world (Jn.8:12). We often don't give much thought to the wonders of light unless we see a spectacular rainbow. 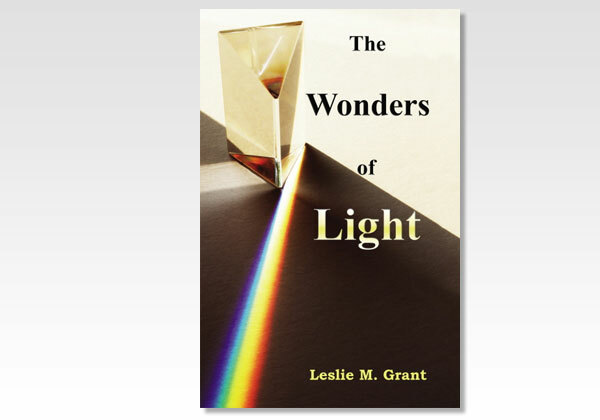 But in this little book, first written many years ago, Leslie Grant breaks down the visible and invisible parts of the electromagnetic spectrum and applies these various parts to the wonders of Scripture. The fold-out chart at the back of the book can be studied as you read about the various colors that make up white, pure light, and of infrared and ultraviolet radiation, etc. We believe you will enjoy this book as much as many did a generation or two ago. Leslie M. Grant lives in the Seattle, Washington (USA) area and has served the Lord in full time service for over 65 years. He has written a number of books and Bible commentaries, available through Believers Bookshelf, Inc.